The Original Tree Swing’s Pied Piper Crafts bring parents several new Waldorf-inspired DIY kits for children (mostly six and up). With the Pied Piper kits, kids and parents have all the basic ingredients to let their imaginations go nuts. Kits make magical fairy houses (with planks of wood, bits of moss and more), impressively authentic treasure maps and several other projects — all sure to promote creativity, planning and follow-through for your little one and you. 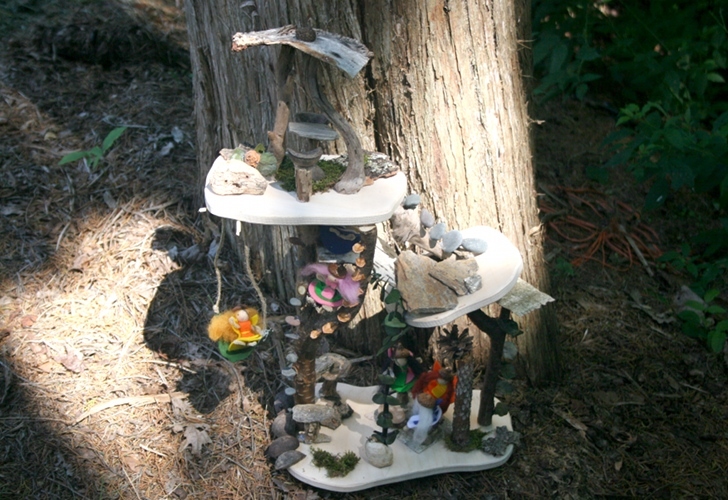 The Original Tree Swing's Pied Piper Crafts Fairy House. The Original Tree Swing’s Pied Piper Crafts bring parents several new Waldorf-inspired DIY kits for children (mostly six and up). With the Pied Piper kits, kids and parents have all the basic ingredients to let their imaginations go nuts. Kits make magical fairy houses (with planks of wood, bits of moss and more), impressively authentic treasure maps and several other projects -- all sure to promote creativity, planning and follow-through for your little one and you.